Q Park Dawson street, DO2 WF63 (5 min walk from the car park) Open 24 hours, 7 days a week. 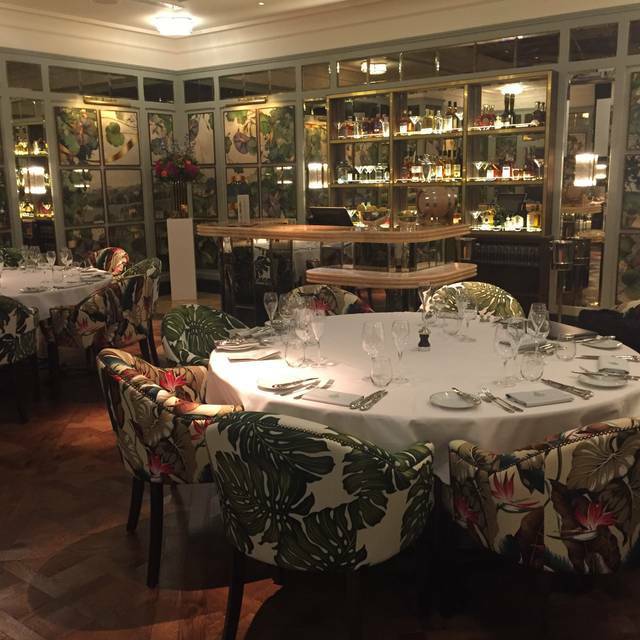 The Jonathan Swift Room at The Ivy Dawson Street seats 32 guests on two long tables or across four rounds. The room is available for breakfast, lunch and dinner, as well as drinks and canapé receptions for up to 50 guests. 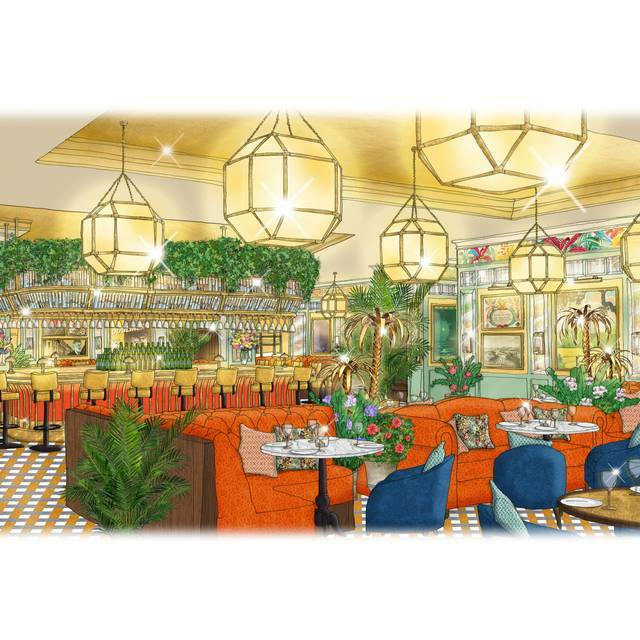 The room’s interiors will include colourful artwork and a striking landscape image of Dublin’s horizon as seen from Phoenix Park and St Stephens Green in 1800, whilst the ceiling itself will feature an image of fictional hero Leopold Bloom alongside a host of multicoloured, exotic flying birds. With a selection of menus available, specially created by our Executive Chef, Sean Burbidge, The Jonathan Swift Room is equally suited to private parties as it is for corporate breakfasts, lunches and dinners. Complimentary menu cards and place cards are provided for each event and each table is decorated with seasonal flowers and tea lights. 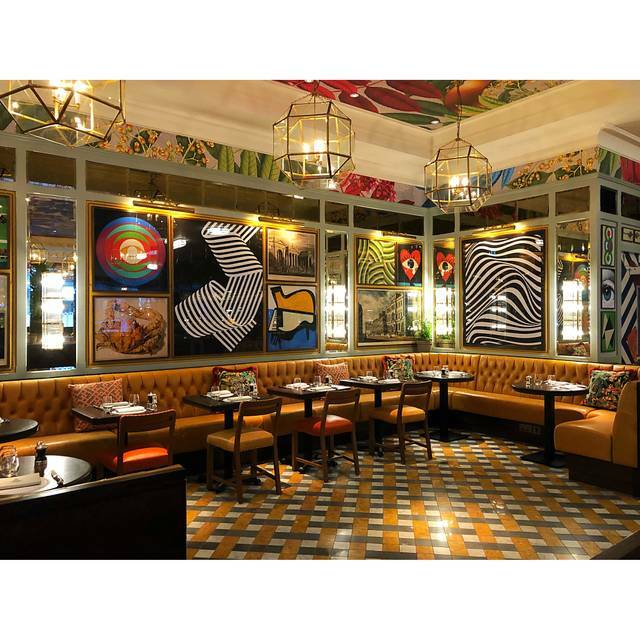 One of the world’s most famous restaurants, The Ivy, West Street, has welcomed guests to enjoy its contemporary cuisine and unparalleled service for over a century. 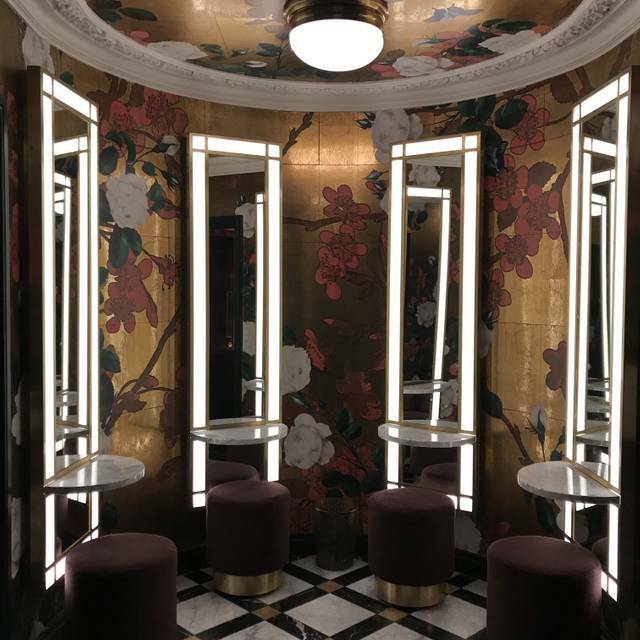 The Ivy Collection has crossed the Irish Sea to open its first international brasserie in the heart of Dublin at the new landmark building of One Molesworth, Dawson Street. 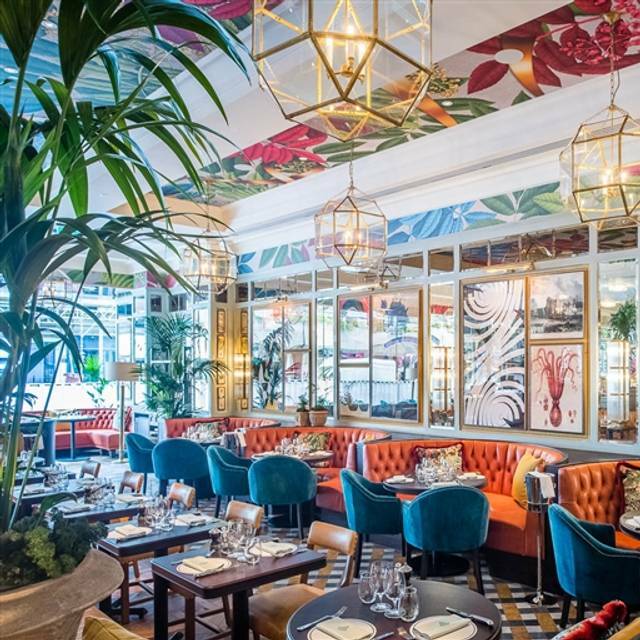 The Ivy Dawson Street brings a touch of Ivy magic to Ireland, offering effortless glamour and a varied mix of classics and locally inspired dishes including Dublin Bay prawns and Dungarvan oysters. With 200 seats and a beautiful private dining room, The Ivy Dawson Street caters for every occasion from breakfast and weekend brunch, lunch, afternoon tea, dinner and beyond, with a beautiful bar serving cocktails and drinks until late. Open seven days a week from dawn until dusk, the brasserie is accessible to all, welcoming local residents, businesses and visitors alike. 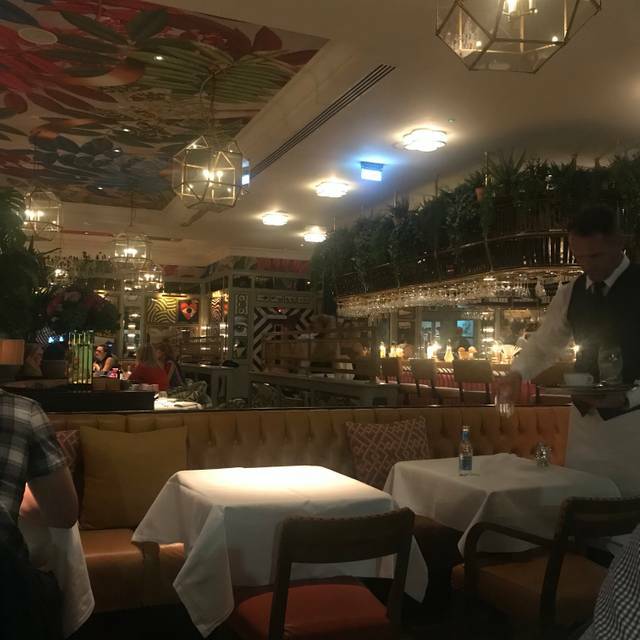 Have been in the ivy on a number of occasions over the last few months and always found it a positive experience but was very disappointed with my visit on sat 20/4. Had a reservation and didn’t have to wait long for our table but found the resident dj a great touch but extremely loud. Think this level of noise is fine in a bar but too loud for a restaurant setting. Starter course very good but when mains served , my husband found two long hairs in his burger. The manager dealt with it immediately by replacing his meal and deducting the cost of his main from our bill. But to be honest it was very off putting and took the enjoyment out of the rest of our meals. Didn’t even bother finishing our bottle of wine and left without ordering any further food. The food here is very average. Prawn cocktail- prawns barely thawed on a lot of lettuce. This restaurant would not survive here on the standard of its food. It’s living on its reputation from abroad, but it does have good atmosphere. Lovely waiting staff, great ambience at brunch time. This was our third time here and we will be back. I have been many times to The Ivy Dawson. It is absolutely fabulous place with professional service, stunning atmosphere and amazing food and drinks! Wonderful music in an energetic dining environment. The interior is stunning, the service was superb and the food was delicious! I highly recommend this restaurant, especially for couples. Great set up, lovely atmosphere. Staff were attentive and accommodating. Was let down by the food, nothing to write home about. Have been to the ivy many times as you can see from my booking however I have noticed the last few times after and hour and half at table an eagerness to basically get you out. On Friday last we sat at table st 3.45 and at 5.35 were asked if we could take the bill we were still drinking some wine and we're just about to order coffee. We made this clear to our waiter who told us we could have coffee at the bar !!! Not impressed at all and not the first time this has happened..I really don't think I will be returning very poor form it would have taken us 15 mins to have coffee and we were not even given 2 hours on the table. Given the bad publicity over tipping that the restaurant has got recently I feel this was v poor treatment and really not good enough.. needless to say I didn't tip !!! A reply would be nice but I am not sure one will come..
Table booked for 8.15pm and were kept waiting for over 30minutes. No apologies given. There were a number of issues with the food and we did mention them to the waiter and nothing was done about it. The food is also overpriced 3.95 for a little bit of sauce for a steak and steak comes with nothing. Service was good and staff friendly. Went to the Ivy for a special event. The venue is very nice, but the food was most disappointing. As a result will not be going back or recommending it to anybody that asks. Booked this restaurant to celebrate with my family following graduation. We were looking forward to the meal but the service was so poor and topped off with sub standard food that it really was a disappointment for our special celebration. While we knew the price before the meal, what you pay for is the atmosphere. Out order was not taken for half an hour after we were seated and even asking multiple times to order. A very disappointing experience. I will not be recommending this restaurant to any one. We have enjoyed this restaurant twice while in Dublin. It’s a beautiful restaurant and the food was great. The service could use a little work but we loved it anyway! Wine list a little pricey. We dined at 17.00. We had the set three course meal. We both had the mackerel starter. It was extremely dry and flavourless. I had the duck leg which had very flabby skin, inedible. My husband had the steak at an extra cost of €4.50, definitely not worth it. No preference on how cooked, it arrived well done, which on an extremely thin piece of steak is not on. I had the pannacotta and my husband the cheese board, both very average. We will not be back. I was here recently with my partner for her birthday and I’ve got to say I was really disappointed and the experience ruined our evening. We ordered a medium rare fillet steak but it came well done, so we sent it back and when it came back it was blue/rare. By this point, I had already eaten my meal, which was alright, so it wasn’t right for my partner to wait for another steak to be cooked, as I’d already finished. Management were unsympathetic. For a meal totalling €150, the experience left me with a bad taste in my mouth, and I’ll not be returning. 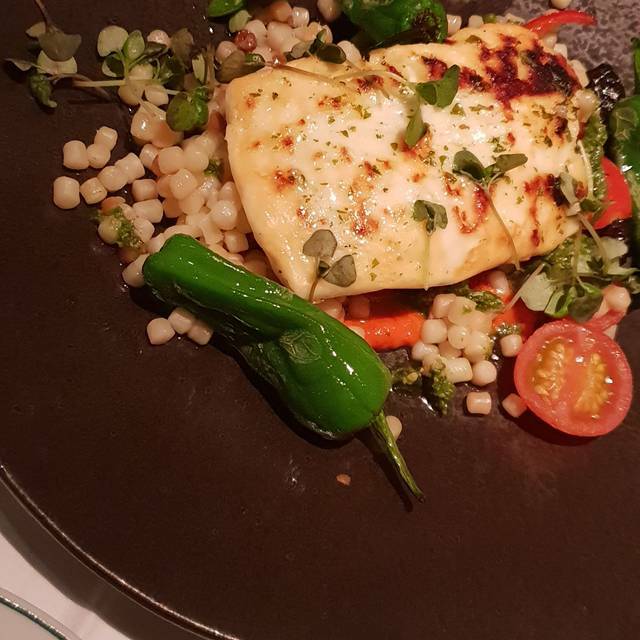 I understand that not every meal will be perfect and we could deal with that if the situation was handled with a little more finesse, as this was frankly not worth €150. Great place to take clients. Atmosphere was lovely and staff were friendly. Very enjoyable meal and an excellent buzz for a lunchtime on Monday. Now very confused about tipping, service charge etc! Chocolate Bombe was absolutely gorgeous that all! It was absolutely beautiful interiors and toilet facilities fab too! Really enjoyed the atmosphere and while the food was delicious, it was very overpriced. I went for Sunday brunch. The food was delicious and there was plenty of it. We had 2 courses and the aperitifs rather than starters. The decor here really is spectacular, fantastic menu for both food and drinks. The service was great. It is a little pricey but then I expected that, it is the Ivy. It is an experience and it is worth it. Food was not as good as it has been in the past. Felt staff could have communicated more with us about the table and when it would be available. Instead, I had to ask. I felt like we had been abandoned at the bar. On arrival, 9.45 am for breakfast ,the receptionist was busy with what looked like a delivery man. no welcome,greeting or acknowledgement and ignored our party of 4 .The reception area is grubby with a broken mirror on reception desk and the floor littered with dirt and looked like it hasn't been hoovered in an age. Food -we all thought the food and coffee was delivered lukewarm/cold. The Ivy Full Breakfast: the sausage was an English style sausage and to my horror no real butter but a margarine type spread for the toast.! The Service was acceptable . Love the atmosphere here. Staff and food ten out of ten! Food was fab but value questionable. I had a beautiful fillet steak but was very surprised that I had to pay for the pepper sauce as well as the sides. Otherwise - it would have been just the steak itself. I also have a big issue with 12.5% being added to the bill with a note to say it’s discretionary / optional. For a table of two it should be our choice to tip based on the service and I was much happier giving cash direct to our lovely waiter rather than to the house. The decor is beautiful and it is a lovely location to hang out. I would go for drinks again however I felt the quality of the food wasn't great and wasn't value for money. Very good, service was a little slow because it was so busy. The food was absolutely delicious and the staff were exceptional. I loved it! I felt sick in the evening after my meal. We also had to wait over a half an hour for our table. There was a protest right outside the restaurant which was extremely uncomfortable as placards kept being pressed against the window. We were there to celebrate my daughter's confirmation my daughter is 12 and she felt very scared over the protest. Lovely for a Saturday brunch. It’s all about the room and the service. The food is tasty but nothing exceptional. Loved the steak tartare. 5 star experience!! 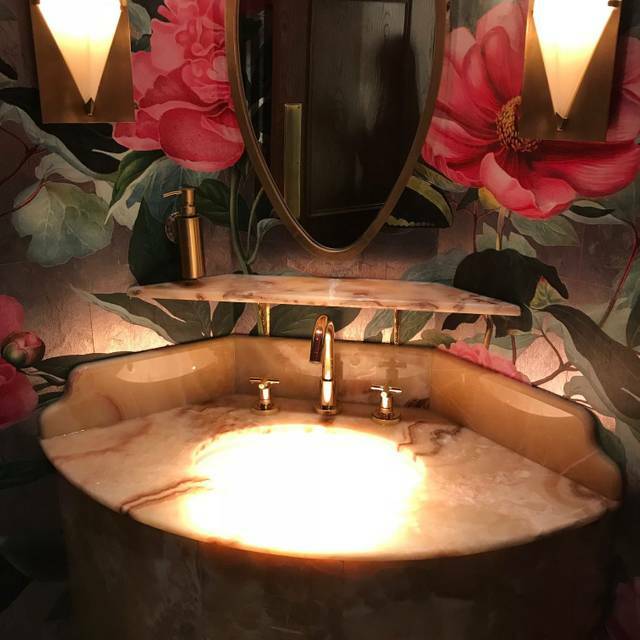 The Ivy is a real treat and the décor is fabulous! We had breakfast in the Ivy Dawson Street. The menu was really good we had the full Irish and the vegetarian breakfast both were delicious. The granary toast and tea 1917 were perfect together. After the breakfast we had a portion of Gluten free pancakes and berries with natural yogurt. They weren't too bad but berries and strawberry sauce were a little bitter with the natural yogurt. The staff were lovely and I really liked the décor. Our reservation was Saturday April 12th. Found the service has greatly improved since last visit. Actually spot on so well done to the team. Table booked for 8pm, we were seated at 8:25pm, I understand when busy this can happen, however there was no thank you or we appreciate you waiting from the hostess when escorted to our table from the bar which I found a bit rude. Food was lovely and presented well, everyone enjoyed their choices.. 1st time having dessert and fell in love with the salted caramel truffles (not a chocolate person at all) apart from the minor customer service issue a lovely evening was had by all. Roll on May 5th for my next visit. 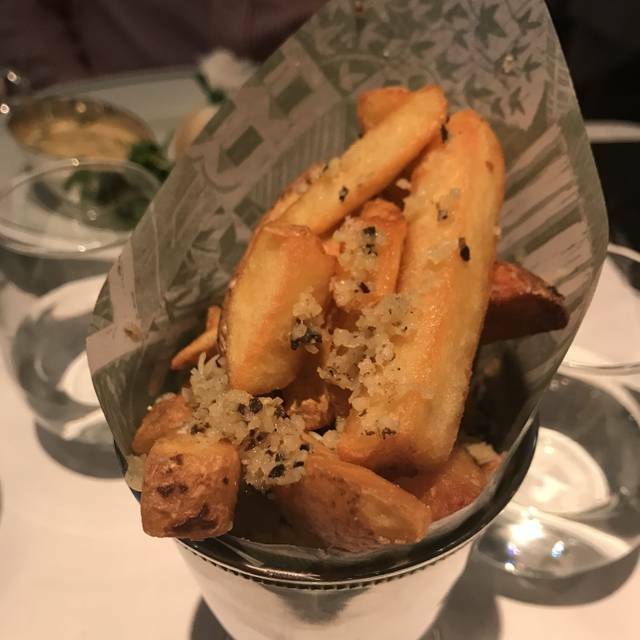 I've eaten in the Ivy several times now since it opened and despite hearing mixed reviews on the food from friends, I've always enjoyed my meals there so I was really looking forward to spending another evening there with some friends who hadnt been before. Unfortunately on this occasion our meal was definitely average. Three out of 4 of us had the prawn cocktail to start - the lettuce on mine was brown in places and the cocktail sauce was scarce on all so we had to ask for more sauce to be brought. My prawn curry was great however my friend's chicken Milanese was slightly soggy. We shared a chocolate bombe between the 4 of us for dessert and this was delicious with the usual theatrical presentation. Service was good and the atmosphere was buzzy but if this had been my first experience at the Ivy, I'm not so sure I'd be going back again any time soon which is a shame. That said, I will give it another chance to hopefully impress again....! Great ambience in the restaurant and service was very attentive. Think it’s probably better value for brunch than dinner. Very expensive considering the quality of the food isn’t amazing. Prawn cocktail was very disappointing and chips and sauce could be included with steak. Chocolate bomb is great though. I loved the atmosphere, decor and good music. Food was good not great, but to be fair we had the early bird so it was good value for money. Service however really let this place down. It was very apparent that the staff don't communicate with each other. Front of house should be on top of reservations. We arrived 5 minutes early for our reservation and were ushered into a very busy bar with no seats. We were left standing and only when i asked a waitress for a place to sit that a guy came over and we were shown a table where people were finishing up their meal and told that was our table and would be ready when those guests left shortly. Manager then ushered us to another table. The Ivy is a nice place but i won't be back for a while.There are lots of other great places to eat with much better service. Food good value. Wine very over priced. Staff very efficient.